This article is 341 days old. An ambitious group of young fundraisers, Avery, Jaxon, Orianna, Alexis, Brennan and Travis has been fundraising for W.E. Care for Kids by setting up lemonade stands for the last four years and have raised over $20,000 in that time. Last year, W.E. Care for Kids announced a new fundraising initiative the “W.E. 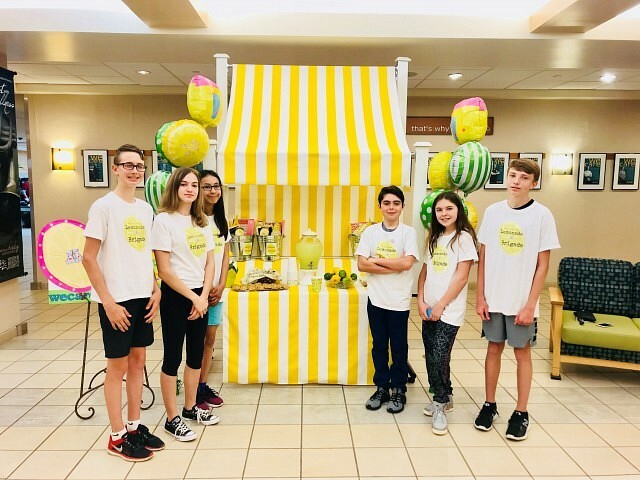 Care for Kids Lemonade Brigade” and inspired kids all over Windsor-Essex County to set up their own “Lemonade Stand” and raise money for local paediatric healthcare. Over a hundred kids joined the “Lemonade Brigade” by setting up their own “Lemonade Stand” in their neighborhood and together have raised over $18,500 in support of local paediatric healthcare. Each child who signs up to join the “Lemonade Brigade” will receive a “Lemonade Brigade” starter kit with everything needed to get their lemonade stand started. W.E. Care for Kids is always looking for new members to join the “Lemonade Brigade” team! The top three stands that raise the most at the end of the summer will have chance to win prizes generously donated by local businesses.